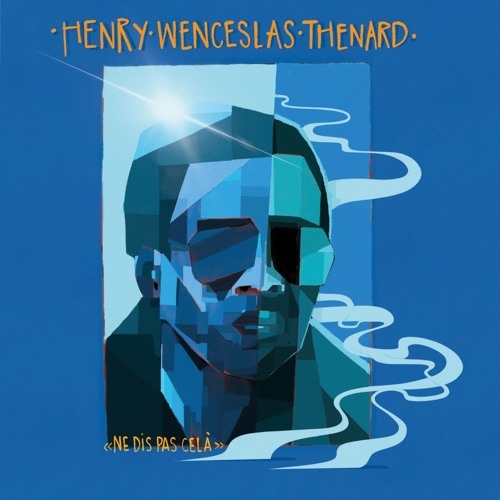 * Read more: https://boltingbits.com/henry-wenceslas-thenard-ne-dis-pas-cela-atangana-records * Watch on YouTube: https://youtu.be/DO3OYhwRChw * Pre-order: https://atanganarecords.bandcamp.com/album/henry-wenceslas-thenard-ne-dis-pas-cela Afro-Disco connoisseurs, Déni Shain and Thomas Vicente, have formed a naturally coherent partnership on a mission to deliver incredibly rich, vibrant tropical music to listeners far and wide. Vincente is the proud owner of Verre Volé Paris (beautiful restaurant) and Shain an experienced DJ and producer with an undying passion for crate digging all over the world. The pair collaborated in 2018 to bring us the promising Atangana Records, the platform from which they release, Afro-Caribbean, Latino-Disco hits from all over the world focusing on re-editing incredible music that we may have missed over the decades. Expect Zouk synth and fusion with dashes of exotic grooves along the way. Today’s release, is a fantastic addition to the catalogue, undeniably infectious Afro groove with Latino notes all through out, punchy trumpets and soulful French vocals that will turn on any 1980s funk fanatics. The track “Ne Dis Pas Cela” , originally released in 1985 by Henry Wenceslas Thenard, is a perfect example of the music we expect to hear from the label. Shain and Vincente have travelled for 20 years discovering beautiful sounds of new and old and aren’t we glad they have brought this straight to us. this is gonna big in my box for this festival season for sure!